"Hurrah! The deadly Daleks are back! Yes, those loveable tinpot tyrants have another plan to invade our world. Maybe this time because they want to drill to the Earth's core. Or maybe because they just feel like it. Now that sounds like a jubilee worth celebrating, does it not?" What do you think? Could you see the origins of the Ninth Doctor episode from this? Did you like it more with the Sixth Doctor? This was a really solid story, I like it a lot. You can definitely see the origin of the 9th Doctor story "Dalek" in this, but it stands really well as it's own story. In this story, the humans trivialize Daleks to a great extent, there are toys, theme parks, everything! I think what makes this so interesting is that it's exactly what WE do. We all look up to the Doctor, to his companions, and trivialize his greatest enemies. Really fascinating to see that reflected back in a Doctor Who story. One of my favorite parts of this episode was seeing the 'bond' Evelyn and the prisoner Dalek shared. The fact that the Dalek saw her as an equal and respected her was really fascinating. It's similar to the dalek's relationship with Rose in "Dalek." Sort of interesting seeing this Dalek driven mad by it's inability to die and receive orders ultimately bring the Daleks down. And it's up to Evelyn to finally exterminate him. The dalek's story is actually...touching to a certain extent. I love how sometimes we see Daleks prove that they aren't all the same, sometimes one is always going to surprise us the way this one did. I liked the 6th Doctor a little more in this story than I did in his serial. I adore Evelyn. I feel like she got lost a little bit in "The Apocalypse Element," but she was really fantastic in this story. I adored this story. Straight-up adored it. It reminded me of Robert Holmes and Steven Moffat where it's just filled to the brim with clever ideas and fascinating plot turns. I love the twists, LOVED the humor and I found the whole thing to be very original. I can see where this became "Dalek" but this is a much grander tale than that episode with better characters. This is possibly my favorite audio drama yet. I need to go back and listen to more of Robert Shearman's stuff. This was excellent. We are the Daleks and this is our song. We're very naughty and like to do wrong. All around, I thought things were great. The Doctor, Evelyn, Rochester, the story. I agree it's very self aware, looking at the Doctor Who fanbase. I was cracking up during the opening film announcement. My favorite Dalek stories are the ones that bring into question, "What exactly is a Dalek?" What makes them what they are? Throughout all the stories, it comes down to a few things. They are conditioned to obey orders. It's almost impossible not to as many robomen or Dalek agents have found out. The Daleks also despise everything that isn't Dalek. (And they like to EXTERMINATE!) While "Blood of the Daleks" deals really well with hating non Daleks, this handles the obeying orders. What is a Dalek who has no orders to obey and no way of killing others or itself. It's pitiable. 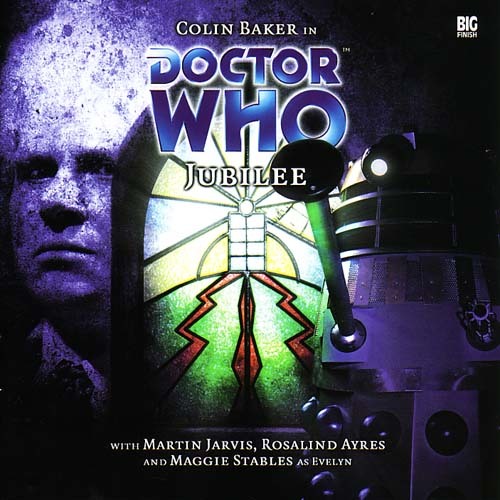 Daleks are capable of some amazing emotions in these audio dramas. I think it adds depth to a bunch of characters that could easily be two-dimensional. I really do love it.